Alaska Air Cargo today began a new chapter in its business, introducing the first converted Boeing 737-700 cargo aircraft. The aircraft is the first of its kind in the world and was converted from an all-passenger to an all-freight aircraft. The aircraft is entering commercial service today, carrying goods from Seattle to the state of Alaska. The aircraft was converted over 19 months in Tel Aviv by Israel Aerospace Industries. Alaska pilots flew the converted plane from Tel Aviv to Belfast, Ireland on Sept. 6. From there, the plane touched down on U.S. soil in Bangor, Maine and continued on to Greensboro, North Carolina, for scheduled maintenance. The aircraft was painted in Victorville, California before arriving in Seattle. Alaska will take delivery of two more converted 737-700 freighters, allowing the new, all-cargo fleet to carry 15 percent more capacity overall. Currently, Alaska operates one 737-400 freighter and four 737-400 combi aircraft, which carry both passengers and cargo. Alaska plans to retire its entire 737-400 combi fleet by Oct. 18. Initially, the new fleet of all-freight aircraft will primarily serve the state of Alaska, and provide regular, scheduled service to 17 communities across the state. 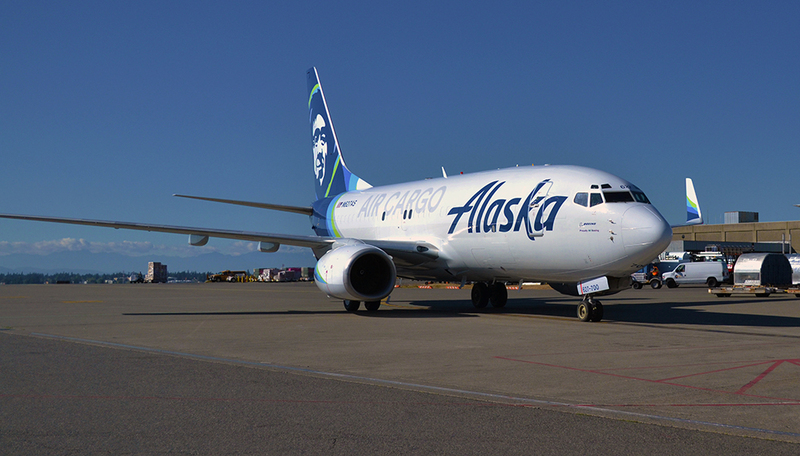 Independent of Alaska Airlines’ passenger operation, Alaska Air Cargo will provide more scheduled freight service than any other carrier in the state, and connect customers to 100 destinations across the airline’s route network. Alaska Air Cargo transports more than 170 million pounds of cargo annually, including seafood, mail and freight, and operates the most extensive air cargo operation on the U.S. West Coast of any passenger airline.